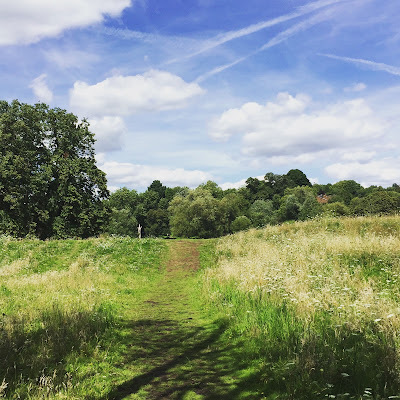 A few weeks without a Wonderful Wednesday as things were a little busy in the happygolucky-household and I just didn't get the time to sit down and write my little weekly catch-up. This week's is slightly shorter than usual too as we've had a visitor staying with us since Friday and so I've just snatched moments here and there to share a few things that have made me smile since we last spoke. 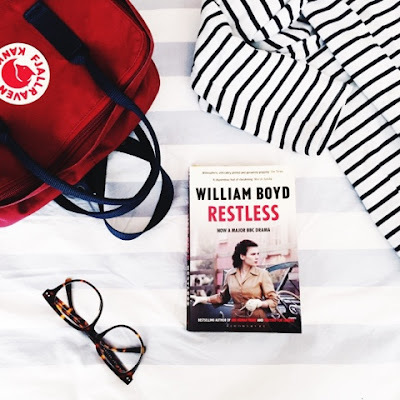 ♥ A book you just can't put down... A friend lent me the book 'Restless' by William Boyd and I wasn't able to put it down all week, devouring it in about 4 days (and it wouldn't even have taken that long if work hadn't got in the way!) It made my morning and evening commutes fly by and it was one of those books that you spend all day just longing to get back into. In a nutshell, it's the story of a woman who discovers that her mother was a spy during WW2 but it is so much more than that. Thrilling, fascinating, an absolute page-turner. If you're looking for your next read, I couldn't recommend it more (if that isn't clear enough already!) I've already lined up 'Any Human Heart' to read next, which is another of William Boyd's books and apparently amazing. ♥ Friday night curry... Is there anything better?! We've had my mother in law staying with us for a few days and we celebrated her arrival on Friday by treating ourselves to a curry, delivered from a local (really tasty) curry house. I think it's made even more special when you know that you've planned it that evening and then spend all day looking forward to it, planning what you're going to have. I practically ran home. ♥ Pre-birthday excitement... My birthday isn't until the end of the month and it's not an age to celebrate (trust me) but we wandered into town on Saturday to have a little look for things to put on my birthday wishlist. There's a bag in John Lewis that I've been coveting so that is firmly in the top spot. How exciting! 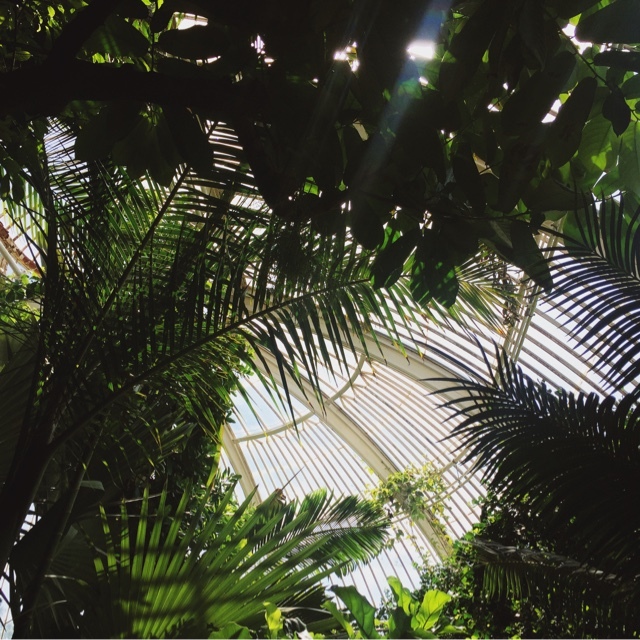 ♥ A sunny Sunday at Kew Gardens... We used to live 2 tube stops away from Kew Gardens and only went once for the Illuminated Trail at Christmas, which was absolutely stunning. We had a slightly longer commute this time but it was still so worth it and I really don't know why we hadn't visited more often when it was that close! It was a glorious day to visit, the sun shone all day...although it felt slightly chilly for a few moments after the heat of the Palm House. We were there for about four hours and I don't know if we saw even half of the gardens - next time we'll be back with a picnic. Not planning to go on the Tree-Top Walk ever again though, that was a special kind of terror. ♥ Neighbourhood puppies... Now this is partly a good thing and partly a really bittersweet pleasure considering how much I want a dog but there seems to be a sudden influx of puppies in our local area. I've been tackled a few times by an excitable little hound on my way to and from work or to the station over the last week and it's been absolutely wonderful! Their owners are always so apologetic too but is there anything better than an excited puppy jumping up at you?! ♥ Hampstead wanderings... This gets a special mention as it was actually the week before last. We've had two sunny Sundays in a row in lovely London town. 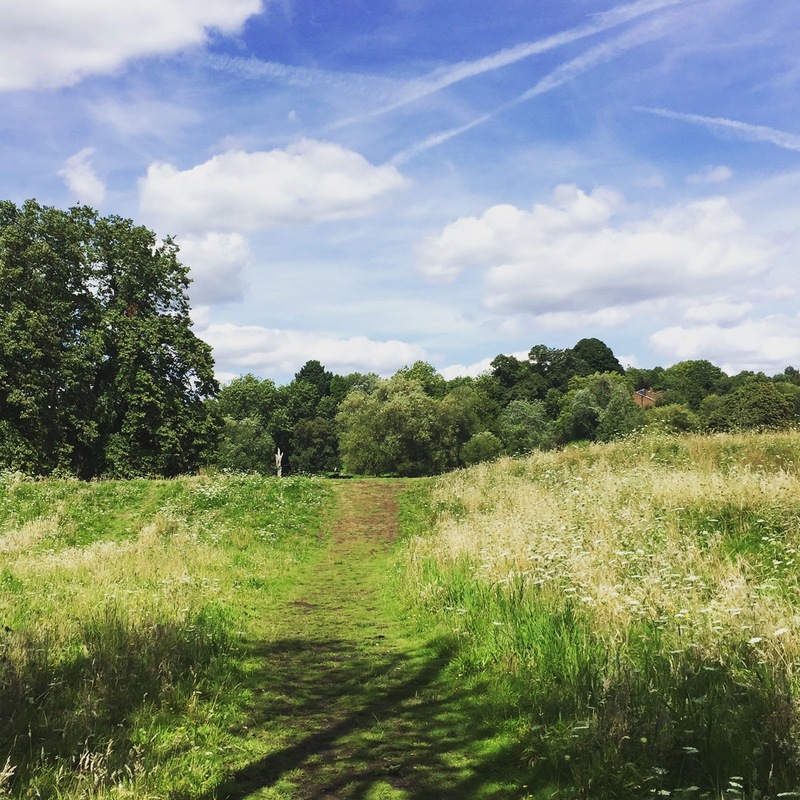 My husband was away for a few days last week, returning on Saturday night and we decided to make the most of our Sunday together by going for a long walk on Hampstead Heath. Lots of people had the same idea as us but the size of the Heath means that you just don't feel like you're all on top of each other. We chatted, ate ice cream, dog watched and admired the brave souls swimming in one of the ponds. The area around Hampstead is really lovely too, with gorgeous houses like the one at the top of this post, lots of tempting coffee shops and Daunt Books where I could happily while away a few hours. I picked up a new book that's been on my list for a while ('Life After Life' by Kate Atkinson, if you're interested!) and chatted to the staff while paying, who then recommended another few books to me - the to-read list is growing ever longer! Ooooh Restless sounds like my kinda book! I'm adding it to the to read list! Ooooh planning what I'm going to have for dinner in the evening is one of my favourite things to do. Curry sounds delicious and a lovely welcome for your mother in law! Aww the pups sound adorable!!!!! Have a lovely rest of the week my dear. You really should, and do let me know what you think if you do give it a try! I LOVE Behind the Scenes at the Museum! It's one of the books that are boxed-up at my parents' house (stupid small London flats) and I've been longing to read it again. Nothing beats a long weekend, particularly when everyone else is still at work! Hope the christening goes well - that sounds exactly like every family christening we've ever been to, you need the mix I think! Berlin would be fantastic at Christmas time, I'd love to visit a German Christmas market - do let me know what you think if you do go. It's definitely on the must-visit list and I think it would be extra special visiting in the crisp cold winter months. Hmmm Hampstead is about 40 minutes by tube from Hammersmith - not too bad as commutes go but may be a little further than you'd want to travel heading back in the evening, particularly if there are any issues with the tube. 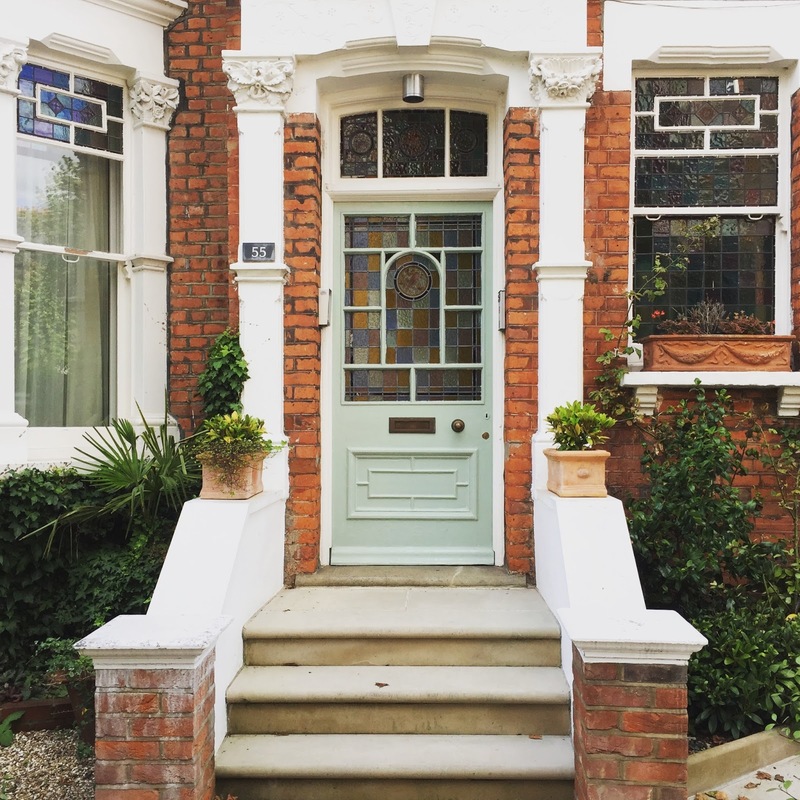 It would be a lovely part of London to stay in if you're making a small trip of it? We used to live quite close to Hammersmith, in Turnham Green which is only a couple of tube stops away on the district line - it's another nice part of London, with a really great high street and lots of cafes if you're looking for places to go for breakfast/brunch, and then handy for hopping on the tube into London itself. What kind of area are you looking for and I'll have a think about some more places if that would help? Thanks for such a comprehensive reply! We're only there for a day and a night so preferably somewhere convenient to Hammersmith with some nice, independent places for dinner/breakfast, I guess. Thanks for your advice - I'd much rather ask someone who knows than rely on generic websites for their guidance. In that case, I'd definitely recommend Chiswick/Turnham Green - there are a lot of lovely places for food/drinks along Turnham Green Terrace and the High Road, it's not so touristy as to drive up the airbnb prices (I'd guess...Kensington was another thought but that's bound to be much pricier) and it's really convenient for hopping on the tube and visiting other parts of London. Hope that helps! Thanks so much, Cat! Logging onto airbnb right now! Oh I love a book you can't put down. For me, it's been some cheesy YA dystopian book that I am buddy reading with the MIL, although I think most of the joy is coming from listening to her chat about how much fun she is having reading it haha. But we are having a great time ploughing through the series. You really can't go wrong with a really good book, I love that feeling of accomplishment that comes with finishing a book really fast. Yes I know exactly what you mean, and I think that was part of the joy with Restless - it was recommended to me by a colleague who'd just finished reading it, and I loved getting in every morning and exclaiming wildly about what I'd just read! Oooh I am going to add that book to my ever-growing good reads list! I need a page-turner to help me get back into reading. Ooooh SNAP! My birthday is at the end of the month as well (28th!). I'm not sure how I'm going to spend it yet, I'm hoping the weather turns out nice. Being surrounded by puppies does sound amazing. Dogs are the best.